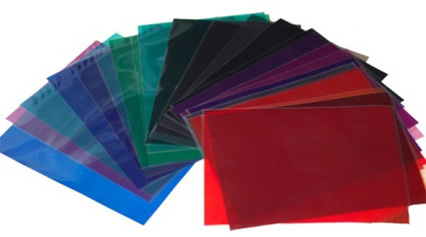 For durable and aesthetically appealing retail packaging applications, Dispak Industries is proud to offer our line of thermoforming grade rigid PVC films. Domestically manufactured with over 20 years of technical expertise and experience, our rigid PVC is engineered for the most demanding thermoforming applications. Formulated for long lasting visually appealing packages, our film is easy to process on most all thermoforming equipment. With over 100 tons in our inventory we are well positioned to offer quick turnaround for small and large quantities as well as factory direct service for any custom runs. Our printing grade rigid PVC materials are engineered for the most demanding printing jobs. Generally considered to be one of the most versatile, economical, and printer friendly plastic sheets available on the market today, our rigid PVC offers outstanding durability, printability and laminating characteristics making it the substrate of choice for credit cards, security cards, signs, displays and a myriad of other applications. Our high impact box grade rigid PVC is a non-crease whitening formulation that offers exceptional clarity and a high gloss finish. Produced at a temperature much closer to the glass transition temperature of rigid PVC than other grades, this material will provide crystal clear transparency. This grade is produced under tightly controlled conditions to ensure excellent lay flat and is typically run with high impact modifiers which ensure clean and crisp die cutting. This material is available in the standard gloss/gloss finish as well as a scratch resistant finish for applications such as menus, mouse pads, and frosted lids or boxes. Stationery grade pvc mainly comes is sizes of A3 and A4 mainly used for book binders and document protectors in 200 micron. Available in matt,clear and colours. 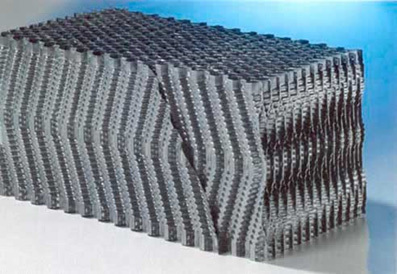 Manufactured with the highest percentage of recycled material this grade of pvc is solely engineered to produce cooling tower filtration blocks used in water purification systems and cooling towers.